2. 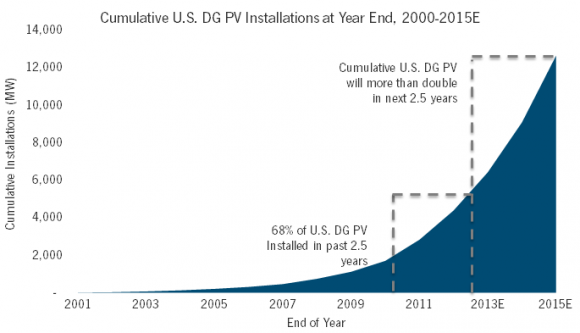 US solar panel installations smaller than or equal to 10kW in size dropped in price approximately 14% in 2012. 4. 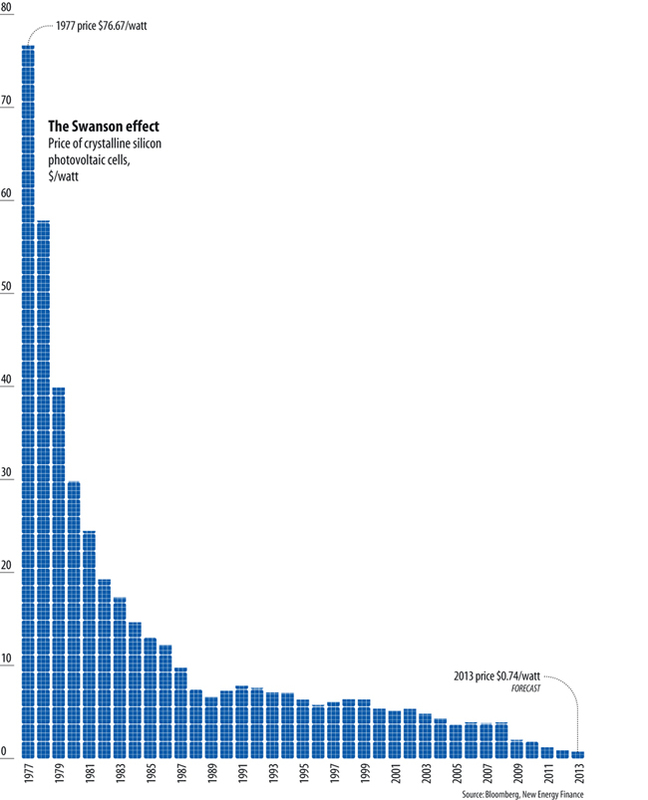 The cost of solar panels has fallen approximately 100 times over since 1977, and solar panels today are about half as cheap as they were in 2008. 5. The average American who went solar back in 2011 (when solar was much more expensive), will probably save about $20,080 off their net electricity costs over 20 years thanks to that decision (that’s $20,080 after paying off the cost of the solar power system). 6. 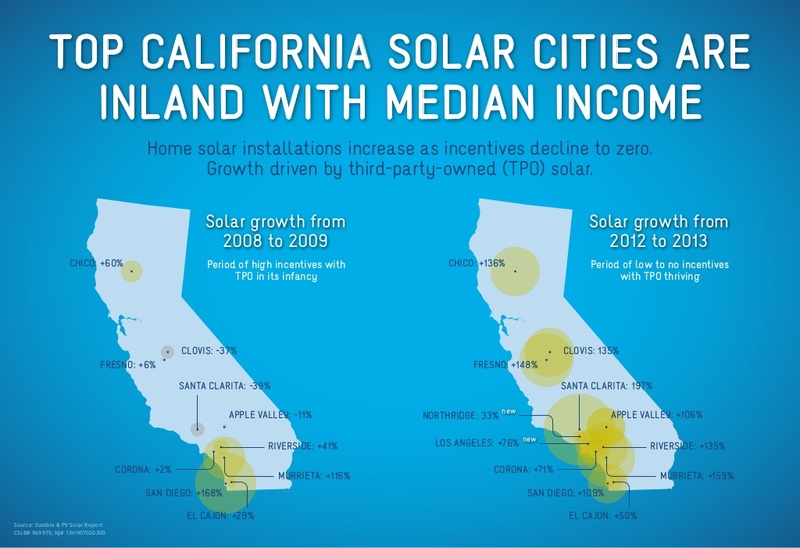 The average Californian who went solar in 2011 will probably save about $34,260 over 20 years. 7. The average New Yorker who went solar at that time will probably save $31,166, the average Floridian $33,284, and the average Texan $20,960… and that’s only if their solar systems don’t last more than 20 years (some solar systems in the field today have been working to factory specs for over 30 years). 8. The average Hawaiian who went solar in 2011 will probably save about $64,769 over 20 years, getting their money back after 3–5 years and then having free electricity for as long as the panels are on their roofs. 9. Solar power offers a better return on investment (ROI) than many “good investments” for tens or hundreds of millions of Americans. Homeowners, on average, can get a better ROI from going solar than from the S&P 500 stock index (considered a very good investment) in over 25% states now. In ⅔ of states, solar offers a better average ROI than 30-year treasury bonds. 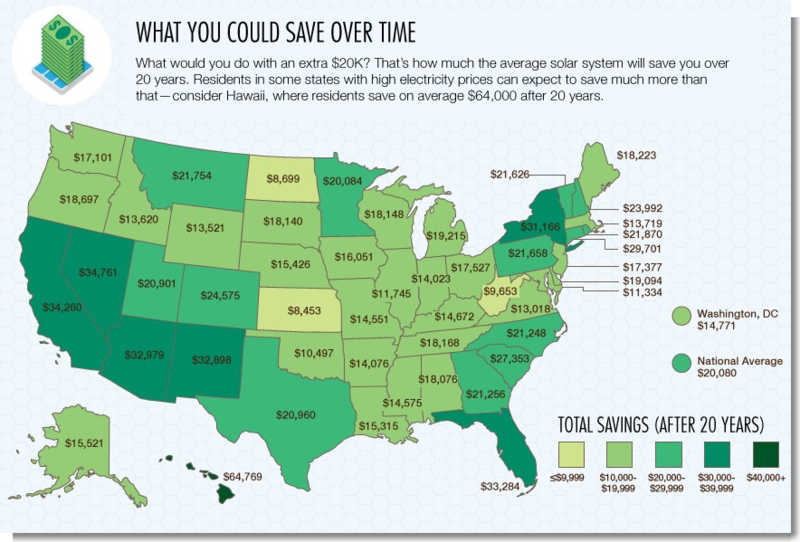 In 86% of states, your likely solar ROI beats a 5-year CD (certificate of deposit). Check out the story linked above for a full infographic on these matters, including state-by-state ROI. 10. Not surprisingly, most people go solar because of the financial benefits, not for the environment. Check out the funny video below about that, and check out the story linked above for 3 more videos along those lines. 11. It’s not just the rich going solar, but actually many average-income households. 12. 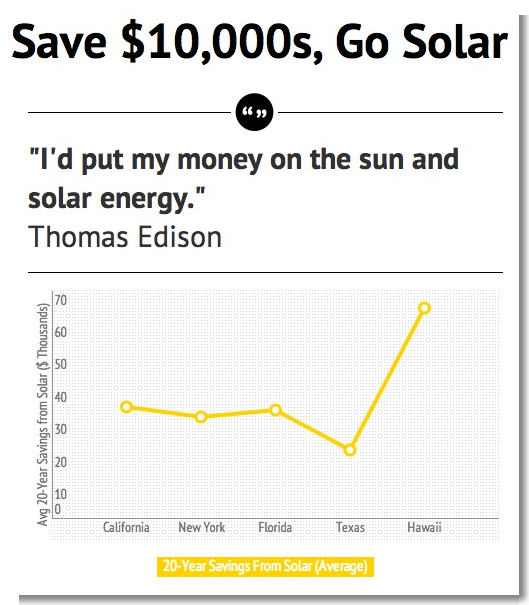 Many people can actually go solar for $0 or close to $0 down. Seriously. 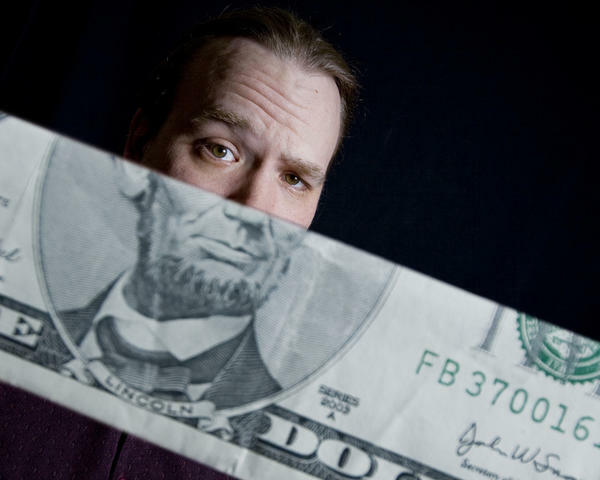 In over a dozen states, there’s the solar leasing or solar PPA option discussed in that story, but word on the street is that there are also $0 loans avalable for people wanting to go solar. 13. People of all political and religious stripes go solar. Conservatives, moderates, and liberals; religious and non-religious people; as well as a high proportion of military veterans. 14. Solar energy advantages beat solar energy disadvantages 8 to 0. In other words, if you can go solar and you aren’t doing so, you might want to go in for an insanity check.